Yesterday’s front page Times story recounted a touching and also very telling anecdote. “13 Deaths, Untold Heartache, From G.M. Defect,” 5/27/14) began by recounting the tragic story of Candice Anderson whose boyfriend Gene Mikale Erickson was killed in a car accident back in 2004. Anderson, who the Times explained "had a trace of Xanax in her blood," was the driver and always blamed herself for something which turned out to be caused by a defective ignition switch which was the fault of G.M. The whole G.M. scandal will go down in the annals as one of the worst cases of corporate depravity on the record. Yet the notion of blame the case illustrates is also very instructive. Criminals and sociopaths refuse to take responsibility for their acts and there is a whole gray area of people who take responsibility for their deeds while at the same time fueling their denial with defensive behavior. These are the kinds of people who excuse harmful actions by blaming them on the culture and saying that everyone does it. There is a little bit of larceny in everybody is a common expression that is used in discussing the kind of hanky-panky that goes on with expense accounts. 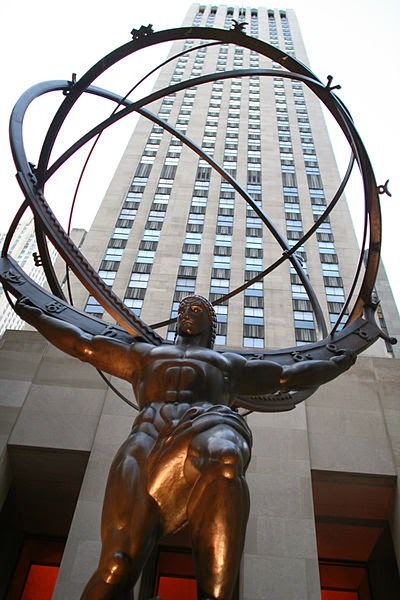 But the average person may be a little like Atlas, trying to climb up the mountain of life bearing the weight of the world on his or her shoulders. Such is the case of Ms. Anderson who had unwittingly taken the burden off of G.M.’s shoulders and laid it on her own. Blame can be like a hot potato. Everyone is always trying to pass the buck. However in this case, a past history of recreational drug use, which might have been used to explain the incident, not only caused unjustified individual suffering, but also served to divert from a truthful reckoning of G.M.’s culpability—and one which would inevitably lead the carmaker to revamp their corporate checks and balances.